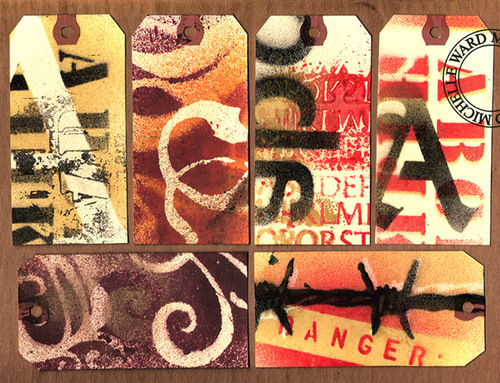 These tags have been sprayed with either paint or ink or both using stencils, masks, and monoprinting. For more about spray painting, see Somerset Studio March/April 2007, article co-written with my partner in crime, Lisa Hoffman. See her blog for more spray too....especially during Feb. and March. Link on main page.